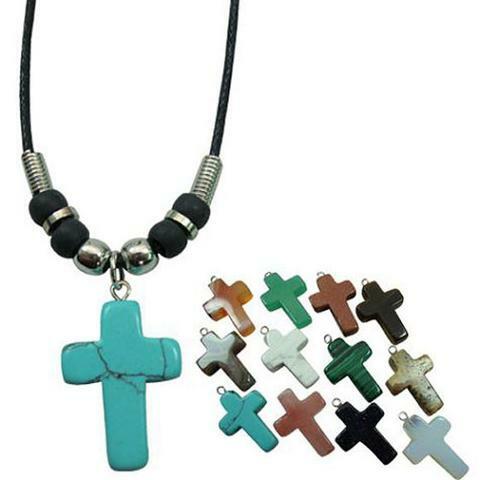 Assortment of a dozen colored cross necklaces on an 18" black cord necklace. Cross colors are assorted, pulled at random. Sold by the dozen.